Theworldbehindmywall « In dreams, there is truth. In this poem, Walt Whitman uses verse to put forward the idea of universal connectivity. He talks about a stranger, being exceedingly vague in his description of the person. He leaves the complete identity, right down to the gender of the stranger, ambiguous and open to interpretation, hence effectively widening its scope to encompass all of humanity. Something about the stranger strikes a spark of remembrance in Whitman, who is suddenly overcome with a sense of vague nostalgia. He proclaims that his path has undoubtedly crossed that of the strangers before, a long time ago in a previous life. He recounts fondly the wisps of a memory that he is able to recollect, of a time where his and the strangers lives have intertwined. According to Whitman, in the haze of a memory, he relives the time when he and this stranger had been inseparable, recalling affectionately how they had grown together, from boys to men, having shared beds, food and milestones throughout that life. He muses on the absurdity and misfortune of social norms which prevents two willing strangers from interacting with each other. Due to this unwritten manifesto of society, Whitman knows that it is not in his destiny to approach the stranger, who was once his better half and is left with the comfort of reminiscing their journey together in solitude. They say you should write what you know. That somehow writing from experience helps bring out the realism in the writing allowing the reader to better connect and identify with the piece. But you know what? 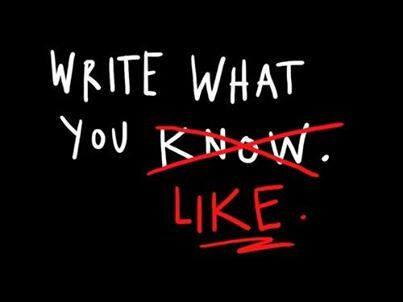 I refuse to write what I know. To me, writing is my escape. Isn’t the sole reason we devour book after endless book, immerse ourselves in movies on a continuous roll and write fiction like our life depended on it because we want to step out of our mundane, trouble ridden lives for just a while? I will connect with my readers with another way. I shall forge this sacred bond between writer and reader by putting in words those unspeakable things- their deepest desires, the wishes on stars on those desperate days, the lives they fantasize about when the world gets too much to bear. Those unrealistic hopes, aspirations, dreams.Because ultimately, we all desire the same Utopia . In a world where we all just want to unplug, I will be their solace. Writing to me is salvation, my temporary asylum from a life that never quite seems to go as planned. When I write, I transport myself into another dimension altogether, one where music, beauty, art and literature all merge into a fusion of color which play in the wind, complementing each other just so. Sitting at the keyboard, I explore worlds that never existed until a minute ago when I created it from nothingness, a world where I hold destiny at my fingertips. In a world where impossible is literally just a word, I fearlessly play the game of chance knowing I can never lose. I’ve spent half my life in a world to which I provide my own personalized soundtrack; a symphony that is my own personal blend of the sounds of my hopes, ambitions and victories. A place where I can give that powerless girl the world at her feet, make the underdog win for a change, create my own demons and destroy them all with the stoke of my keyboard-a world where where defeat is always balanced out with triumph, where a happy ending in inevitable. I once wrote about how beauty will save the world. It saves me everyday. I often wondered how people who don’t write find it in themselves to stay sane. Sitting there at my keyboard, I can live a thousand lives- it gives me the freedom to go tour the world when I’m bound in one place. And such is the magic of language because I know that once I leave, I’ll never be returning back to the same place. Yes, evading is never the answer but in a world so listless and mundane, is it so wrong to beautify a moment? It’s gorgeous over here, its spread across the top of these ranges of mountains and the weathers a lot like Maine weather. On the 8 hour bus ride over here around the winding valleys, I did absolutely nothing but sit by the window and stare. There’s something about being on eye level with clouds, surrounded by nothing but miles and miles of tea plantations and untainted wilderness; with the drops of sunlight filtering through the canopy of trees overhead that makes you forget about every single trouble – almost hypnotizing you, making thought of any kind impossible. The dew hangs like drops of quicksilver from the overhead trees and there is a profusion of wildflowers around each corner. Kerela is called ‘God’s own Country’ and it literally radiates some divine force with its flawless landscapes and breathtaking beauty. The mountains lie in slumber, defining magnificence with not only their mass but how they manage to blend in so perfectly in the background, managing to look so powerful without undermining the scenery around it. Waterfalls crash in deep pools- arising and disappearing from absolute oblivion. The symphony of the whistling trees and the weightless clouds overhead leave little to be desired. Inhaling the brisk air- the mixed smell of tea and wet earth, it feels as though this air alone can cure any sickness. You can almost feel yourself passively absorbing the beauty of this place and holding your breath, afraid to shatter the ungodly perfection that surrounds this place. Each aspect of this place, fits in together like a puzzle- crystal clear and listless. Who says paradise isn’t right here on Earth? The glistening of the drops of sun and the waves softly kissing the shore, murmuring in song makes technology feel oddly out of place in my hand, makes music sound like uncomprehensionable noise and makes it almost impossible to think that the houses we left behind back home is the ‘better’ place. At dusk, standing underneath the blazing sky and staring into the endless mountain ranges makes you feel so small but yet at the same time- a part of something so much bigger. As the last song of the birds overhead slowly dies into the spreading blanket of darkness- it seems to take with it any lingering thoughts and leaves you in a state of absolute bliss; as though saying- until tomorrow. We all face loss sometime in our lives. It might be those loses that shake the very foundation of our world and leave us groping helplessly in the dark; it might be those loses that we accept as a passage of rite in life, those that leave us just a little bit wiser and cautious, or it might be just those daily losses that are so common and insignificant in the grand scheme of things that we barely even notice them at all such as the loss of another day. However profound or insignificant these losses may be, they all have one thing in common. It is inevitable that even through these losses, past all the grief and turmoil- life will go on. But at the time of grieving, we are unable to see this logic, or rather unwilling to accept the truth that life will continue without it, unaffected and unaltered, just as it did before. And so, in that moment, we allow ourselves the indulgence of forgetting the world outside and drowning ourselves in a fortress of sadness and solitude. But as everything in nature, the good comes along to maintain this state of limbo, to steady the tilting balance of good against evil in this unreal world. And it is for these moments that we live- it is that momentary glimpse of happiness that makes all the hardships of everyday life feel worthwhile. This is the cycle of life, it has been so since the beginning of time and truly, it is how it should be. For it is only after surviving the plunge of the fall that the bird can truly rise. However, it is in the the very attitude with which we embrace the good and the bad wherein our fault lies. and by penning these words, he successfully disclosed the pathway to happiness. No, not happiness but rather, he unveiled the path to eternal contentment. There is a reason Kipling so rightly coined the two as impostors, warning us of their presence and their ability to govern our lives through their subtle ways, for truly, neither is what is seems to be. Triumph. The sole ambition of every person here today is to be triumphant in his endeavors, be it in the treacherous fields of work, love or even leisure. We all strive and push ourselves ruthlessly, grasping and clawing with our fingernails to capture that contentment we know as Triumph. But it seems as though no matter how hard we may try, the elusive creature always seems to be just beyond our reach. And then, on finally conquering all odds and attaining that much sought after Triumph, we are deluded by the bubble-like security it brings with it and in that moment, we truly believe we are invincible. We get comfortable, complacent, start resting on past laurels and fail to remember that one piece of wisdom that all our parents imparted to us every day of our youth, the wary warning that pride comes before a fall. And what a fall it shall be. And then there’s Disaster. The one we spend each day trying to evade but which in time we know, will inevitably get the better of us. But see here’s the thing- Disaster is highly misunderstood. It is counted as defeat, a sign of weakness and failure. Wrapped in our web of misery and doubt, in that very moment, we fail to see that looking back, this would be the historical turning point in our lives, the kodak moment that will determine the future. For it is moments like these that tests the character of a man, the very fabric of his soul. That draw the line between the coward and the brave, between the Triumphant and the Defeated. For it is in that very moment where we make the single most important decision that has the power to govern the rest of our lives- the decision no one can make for us for the answer must come from within. In that moment, amidst the internal turmoil of grief, regret, hatred and doubt, we answer life’s single most hardest question. And this question is whether to give up and stay where you are or to claw your way, inch by excruciating inch out of the abyss of defeat back into the glorious light of success. And so you have it, the ugly truth covered. The reality remained stripped of all the delusions and lies our minds perceived. If right now you’re confused as how to approach every Triumph and Disaster you are to encounter during your brief sojourn on this inn we call the Earth, well then, Kipling has given us the answer to that as well- Treat those two impostors just the same. but ’twas to ignite the fire, the lust which slept. I recently read on a blog an article called Beauty will save the world. It was an article about how beauty though maybe not directly, but in the long run is the thing responsible for in fact ‘saving the world’. This article was so beautifully written and executed that it got me thinking of the role beauty plays in our lives. Beauty itself does not contribute to our daily survival. Law, medicine, business, engineering are all commendable professions needed to sustain life. But that’s just it. They merely sustain. The ensure existence, mere survival. Beauty however on the other hand, ensures progress and evolution. Creativity is the sole force that propels our world forward. And people create when they are inspired. As writers, we know all too well that one does not simply wake up inspired. Inspiration must be found, sought out either inside or outside; it must be found in beauty. For me, it is not the brush strokes or the contrast of colors or anything of that nature that inspires me when I look at the works of art by artists like Picasso and Michelangelo. Rather, it is the painting as a whole, the passion, the vibrance, the story, the beauty that serves to inspire me. Artists, be it of any kind, are the makers of society. They take on the role of creationists, they picture that which does not exist, except in the individual’s mind’s eye. They transcend the pit falls of ordinary thought in whose snares the average man falls victim and instead immerse themselves in a world of their own, a device of their own creation. They dare to take on the role of God and create anew. And these creations of theirs are what we call art. It is by looking at the art, or the ‘creations’ of the Greats that we ordinary people get inspired, inspired by their beauty. When we witness something so magnificently beautiful a lust is awakened within us and we too feel the urge to create something just as beautiful. Beauty inspires beauty, it ignites the dying embers of innovation, it instills creativity and dares us to think beyond what we know. And it is by daring to think outside the box that new things are created- new methods in medicine, new programs in technology, new theories and amendments in laws. If it weren’t for beauty, there would be no evolution. Generation after generation would be blinding repeating and mimicking their ancestors and the world as we know it would continue in this monotonous pattern. So here’s to us artists, the creators of the unseen, the flame-bearers of our generation, the illuminati, the driving force the propels this world forward. For in the end, it is indeed beauty that will save this world.